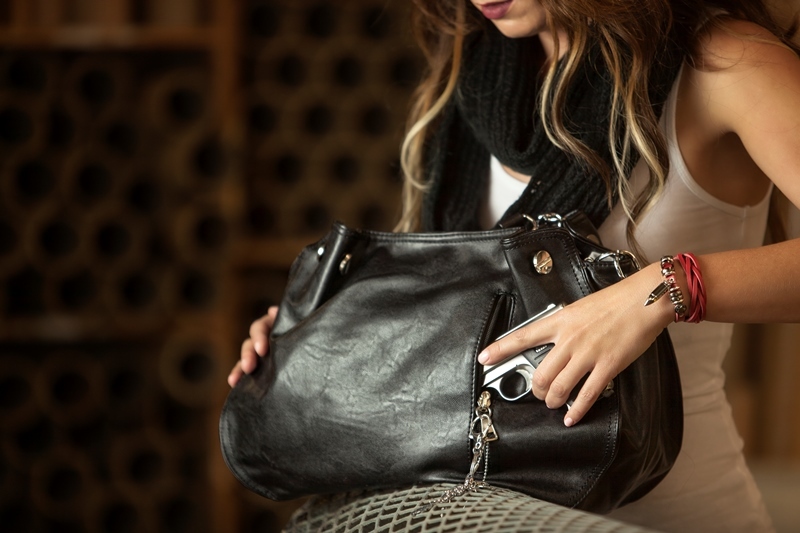 Urban Moxy is proud to be your destination for designer concealed carry handbags. Made for today's woman who craves fresh fashion she is "LOADED WITH STYLE" without sacrificing function and safety. Women now make up nearly half of the CCW permit holders in the USA. It is now time that we have fashionable gun purses that can be carried in a stylish and responsible way.You can be concealed in all these ways with an Urban Moxy CCW Handbag. Urban Moxy was designed by a women shooter with the woman shooter in mind, that wants the ability to lock up her firearm in the signature " Lock It Pocket" when she feels it is appropriate. Our concealed carry handbags have function and fashion at the forefront of every design. Our CCW purses have been designed to be able to pull your firearm out quickly and effectively as you would be able to do with any open body holster. The 2 to 3 second pull is a must with any concealment option, and we are happy to say that we have achieved this in our concealed carry gun purses. Feel free to look around and check out our store locator for a gun shop carrying our Urban Moxy Brand..